CBN Wheels for Grinding | Eagle Superabrasives Inc.
With an extensive inventory of over 6,000 CBN Wheels, Diamond and CDX wheels in stock, Eagle Superabrasives is a one-stop shop for all your grinding needs. Ninety-percent of orders are ready for same-day shipping from our headquarters located in Hickory, North Carolina. Custom orders can be filled in as little as seven days. If you’ve been in the turning industry as long as we have, you know that diamond wheels have almost always held the spotlight over conventional superabrasives. However, CBN Wheels are quickly taking the industry by a storm. CBN stands for cubic boron nitride, a man made material that rivals the hardness of diamond. 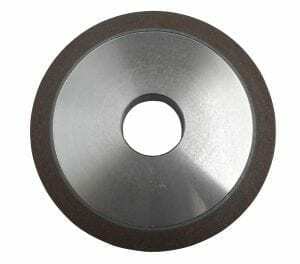 Both Diamond and CBN Wheels are available for sharpening purposes. Diamond Wheels are used for working with carbide, glass and ceramics, but don’t handle heat very well when working with ferrous materials. CBN on the other hand, however, CBN Wheels are ideal for working with ferrous materials where they generate minimal heat and the breakdown of the abrasive material is minimal. Due to CBN Wheels being such a high-performance superabrasive the breakdown of the wheel is typically found from the breakdown of the bonding layer. We pride ourselves in supplying high-performance grinding wheels, most importantly though we take pride in the research and development that our team of chemist and engineers due to ensure the integrity of our grinding wheels. We believe in high-performance wheels that will last long and offer precision grinding to exceed the needs of our customers. If you would like to read more about CBN Wheels click here. When you’re ready to try the best, trust the experts at Eagle Superabrasives. Our experienced staff will provide unparalleled customer support and service to assist you along the way. We look forward to meeting all of your grinding needs, so give us a call today and let Eagle Superabrasives be your one-stop shop!